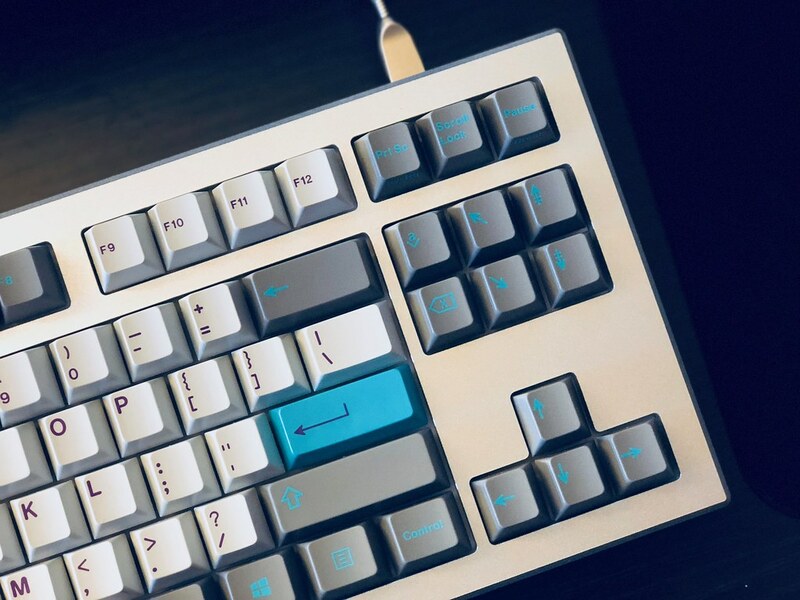 Is this just really contrasty, or did you run darker hyperfuse with icons? Depends on the lighting, that picture in my mind exaggerates the contrast quite a bit, while Originative's photos reduce the contrast a hair. Also, having Ocean Dolch (same color mods as OG Hyperfuse), the Redux mods aren't really lighter than OG mods, but are cooler. I think the Redux mods play a bit nicer with the cool silver color that clear anodized aluminum has. Also, it was a good move on Sherry's part to go with icons vs text, as the icons seem easier to read in TU2 on this new gray than had it been text. It's quite a beautiful set in person, and pairs excellently with silver aluminum. Thanks Sherry! How well is the set selling? Any opportunity for add-on kits/keys? Set is doing alright. zFrontier is looking to take some of the sets maybe? I'm guessing that kit isn't up yet? I could use one. The Enter key is now textless! Is the purple same as the Skelator? Yes, it's the same purple used in the HyperFuse as well.